If you need to capture your story, offer training to your audience, or document your event, you have come to the right place. Make sure your event is streamed correctly the first time. We want to build a live experience that your clients and customers can enjoy across all devices. We use the latest in camera and streaming technology to reach your market in the moment. Video content can promote brand recall and boost your site’s SEO. Whether you want to live-stream a large discussion panel to the world or simply archive a speaker with an AV presentation, we have the crew and the tech to provide each moment to your audience. Our team has years of experience in corporate and non-profit storytelling. We know how to impact investors and reach your customers and employees. We ensure your services and mission are understood by your audience. We create custom sounds and music for your video project or event. We are able to create that hook for your brand or an original soundtrack for your project. We make sure your audio needs are heard, loud and clear. 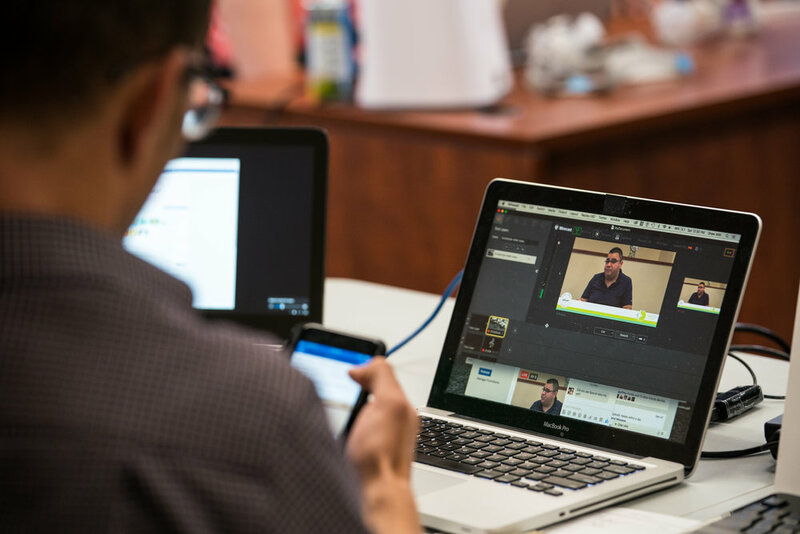 Discover how simple it is to produce a video workshop or course using our services. We capture your expertise and assist in the best way to release your content to your audience. Everyone knows that modern photography is essential to an emerging brand. Our team captures highly detailed, contemporary images of your facilities, products, or event.